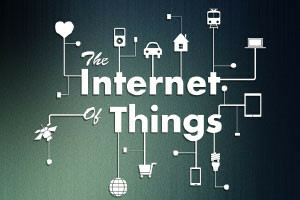 Learn about the technology behind the Internet of Things (IoT). The course Introduction to the Internet of Things (IoT) you will teach you all about the Internet of Things. You will become knowledgeable on how the term IoT came to be and how the IoT is evolving in a way that will change the way companies manage their workload. This course will be delivered to you through the use of videos to cater to different learning needs and allow a clear presentation of what IoT is. The course will begin by introducing you to the history of IoT, you will learn about how the internet and networks have advanced and also the potential changes that IoT can make in the future. You will learn about the different capabilities that IoT has and how companies can prepare and plan for the future of technologies. The second module of this course will present you with ways in which small to medium sized businesses can benefit from implementing the IoT. You will learn about challenges that can be faced in SMB when wanting to use IoT and solutions in overcoming these. This module will inform you on RFID tags, remote monitoring and how to approach a remote monitoring project. The final unit of this course will explain to you how to get started with introducing IoT to your company. Having completed this course you will be able to: - Discuss the history of IoT; - Explain how IoT can be used in different industries; - Describe how companies can plan for the future of technologies; - Discuss how IoT is important to small businesses; - Describe examples of how IoT can apply to you in the future; - Define challenges in how business are changing the way they’re doing business; - and explain why SMB should use IoT.